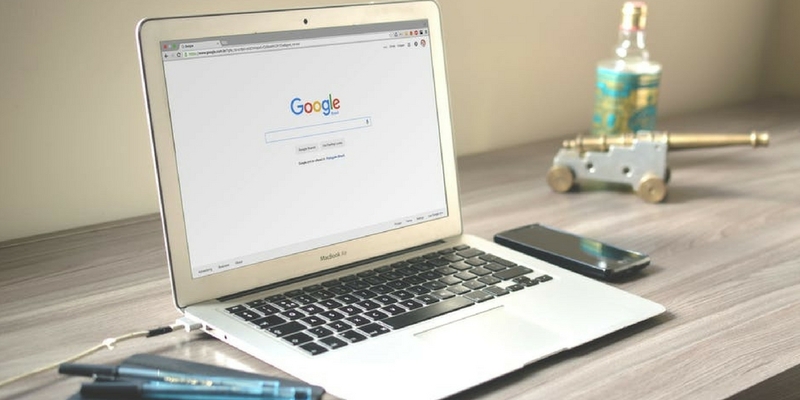 In part one of a four-part series on writing for SEO, we address how search engines and the search landscape have changed recently. Content marketing has seen a lot of changes in the past few years. These changes are largely results of the rapidly evolving search landscape, as well as a seismic shift in the way people are actually discovering content. New, more sophisticated search algorithms, changes in the way people use search engines, and new ways that marketers develop their content are just a few of the contributing factors and outcomes. Over the next few weeks, we’ll be writing a series of posts examining how marketers should approach writing for SEO in this new landscape. Today, we’re exploring specifically how search engines have evolved — something they are always doing, as they improve to help searchers find the content that best answers their queries. Are keyword rankings still important? It’s important to recognize that as search engines change the way they process and evaluate content, older metrics of SEO success aren’t as reliable as they used to be. Take keyword rankings for example. While conventional wisdom tells us that it’s absolutely necessary for content marketers to check their Google keyword rankings for target keywords, debate has swirled recently about the actual reliability of this metric. Why is this once-standard metric being called into question? The answer is largely about context: Search engines have evolved beyond the point where everyone gets the same results of a query, and therefore rank can change drastically depending on context. Location-based searches are one of the most obvious and important contextual variables. Simply put, depending on where you’re searching from, you’ll see different search results. This makes it difficult and unreliable to evaluate success based on keyword rankings alone. 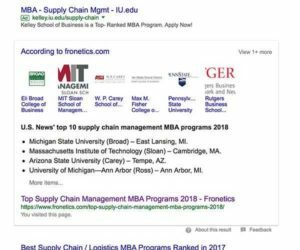 In addition to keyword-ranking problems, search engines are starting to dictate how content should be structured — particularly with the increased appearance of featured snippets. These snippets typically display content from within one of the pages ranking on page one of a question-based query, directly answering the question searched for without the user ever having to visit the actual page. 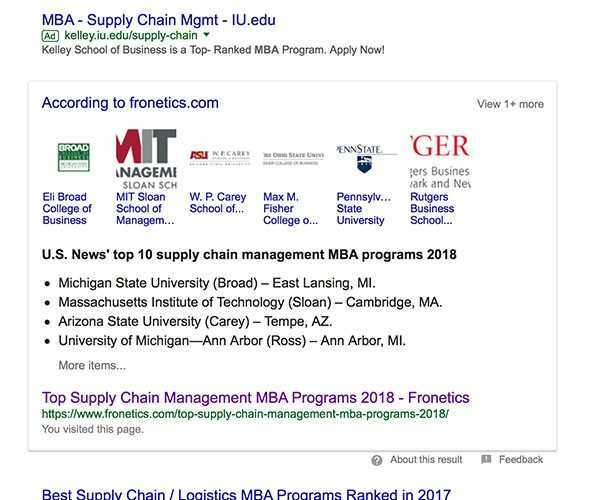 Fronetics has the featured snippet for Supply Chain Management MBA Programs. A recent study found that of 1.4 million queries, 30% showed a featured snippet — that’s big growth. This means that content that ranks within the featured snippet section often gets a much greater share of the traffic for the given query. For content creators, this points to a need to restructure content to try to appear within these featured snippets. Changes to the way search engines work do present a challenge for content creators writing for SEO. 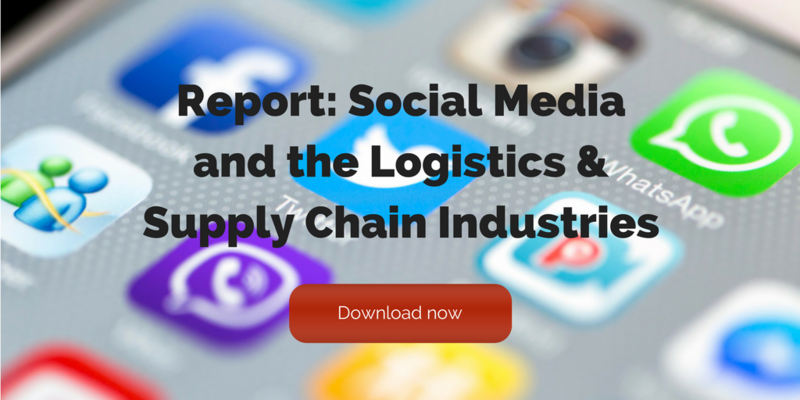 But keeping pace with the ever-changing technology is key to keeping your content relevant. Make sure to check out part 2 in our series, Writing for SEO: People Are Changing How They Search, part 3, Writing for SEO: Topic Clusters and Pillar Content (NOT Keywords), and part 4, Writing for SEO: Measuring the Success of Your Content.